1. Insert your memory card to the card reader that you can get from the Pack R4i 3DS. 2. Insert the card reader to your computer. Note: Click on “Start” that you can find at the left corner on the bottom of your screen, click on “My Computer” and then right-click on the memory card icon. 5. Download only the latest version of R4i SDHC 3DS English or the regional language pack you would like to install. Note: The extraction process needs winrar or winzip. 8. Copy all the files to your memory card. 9. Eject the memory card and insert it into the R4 3DS. 1. Check the console and make sure it has full power. If it is not yet fully charged, keep it connected to the charger. 2. 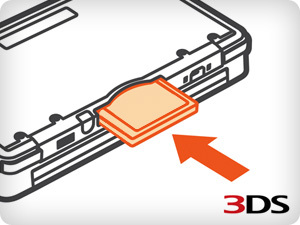 Have the memory card inserted into the card reader with a USB key structure, which is a part of the package of the R4i 3DS. 3. Insert the card reader into your computer through the USB port. 4. Right click on the icon of the memory card and click on “Format” to format it. Note: To see the icon of the card, click on “Start” at the bottom of the computer screen, find “My Computer,” click on it and it will show the memory card as one of the icons on your screen. 6. Find the latest R4i SDHC 3DS version and download it. Note: Use winzip or winrar software to extract and unzip the files. 8. Select all the items and copy them. 9. Save the elements into the memory card. 10. Eject the memory card from the computer and insert it into the device as shown in the photo. 11. Insert the R4i into the 3DS console. 12. Press the Power button to turn the 3DS on. 13. Press the icon, most often a game image. 14. Click on the “Setup” icon, like the one shown in the photo. 16. Press the “Start” button. Note: Your current R4 1.42 version is the icon at the top of the screen, while the new version to which you will update your R4, version 1.43, is below. 17. Let the update process finish until a confirmation appears. 18. Once the update is finished, restart the console. 19. Restart the console by pressing its power button. 20. The updating of your R4i 3DS is accomplished. Your updated R4i can already work with a console version 2.0.0. 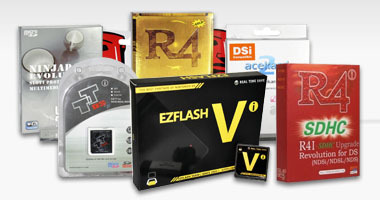 R4 Shop.com - our official online retailer with low prices free worldwide shipping to UK, USA, Europe, Canada, France, Germany, Japan, China and 6-month warranty on all flash cards and adapters. R4 3DS Card - reviews of the latest compatible game backup tool models. 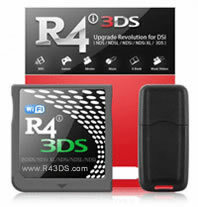 R4DS DS.com - compare prices for R4i Gold 3DS, AceKard 2i, SuperCard DStwo and EZ flash. the official website of R43DS cards. tutorial on how to install firmware kernel. play DS rom games on PC, Mac, Linux. the official home of R4DS cards. Free Nintendo NDS Rom files. Premium card with DivX player and MAME, DOS, SNES and GBA emulator. Cheap but good alternative cartridge with frequent compatibility updates. Our mission is to provide full support to all our customers starting from picking the right card down to downloading games and upgrading carts firmware for better compatibility with new roms. We are happy to help you with any R4 3DS or R4i Gold 3DS related questions. Buy sending in your questions you help us improve the FAQ section!